The months leading up to the Advent and Christmas season are typically the busiest months of the year for music ministries. In many churches while the musicians are preparing for all the extra year-end activities, the finance or budget committees are preparing operating budgets for your ministry the following year. 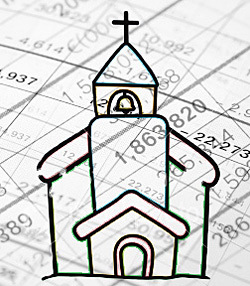 These budgets, better than any other indicator, communicate the priorities of the church. Here are a few guiding principles for the minister of music who is working with those preparing the budget. 1. The budget should reflect a realistic appraisal of needs and plan for some unexpected expenditures. A budget is not a wish list, nor should it be an exercise in creativity. As servants called to a congregation and entrusted by the congregation with their tithes, we must be good stewards of the resources. Every ministry area could benefit by having additional funds available, but in lean financial times each person should work to keep expenditures down. Keeping expenditures down, however, is not the same as ill equipping ministries. We should honestly evaluate needs, and the church should support the needs of the ministries through the budget. 2. The budget should include all foreseeable expenditures of the following year. Often we are so busy with ministry that we do not thoughtfully and meticulously anticipate every expense for the coming year. Often forgotten large expenditures are instrument maintenance and equipment replacement. Our instruments must be maintained to support our ministries. Instrument maintenance looks different in churches with varying ensembles accompanying worship, but even if you are not tuning pianos, servicing pipe organs, or refurbishing handbells, you likely are replacing drum heads, instrument cables, and even the instruments themselves. The advent of amplification and projection has brought about other needs for which we must be vigilant. Just as computers and home electronics are replaced every 4-6 years, so too are components of the sound system, microphones, projectors, and computers in the church. It is inexcusable for maintenance and replacement to be a surprise; they must be planned expenditures. 3. Allow a nominal spending cushion in each of your budget lines. No matter how carefully you plan, something will alter that plan. The cost of things is constantly increasing, and every year something will break unexpectedly. Given these two truths, plan to have excess in each of your budget lines. At the end of the year, each line should have between 10-15% remaining. This allows you to cover needs without requesting additional funding that likely will not be available. 4. The music ministry is vital to the church. If you do not believe that statement, neither will your congregation or the budget committee. We must constantly communicate to the congregation why the music ministry is necessary. When a body views a ministry as important they will support that ministry. Conversely, if there are areas of our ministry that are insignificant, we should consider abandoning them and freeing resources for those things that are truly significant. 5. As a vocational minister that covenants to serve the local church, the local church reciprocally has covenanted to meet the needs of your family. As a vocational minister, the church has covenanted to provide for your family. Even when money is tight, the church should provide for your family. Be willing to work with the church on creative ways this might take place if the church is having financial difficulties. We should not expect lavish lifestyles; however, the expectation of basic needs being met is reasonable. The church is facing difficult economic times, and we should all contribute to conserving and working for the common goal of using our finances in ways that glorify God and spread the gospel. These goals are not obtained by ill equipping those serving in your ministry and losing the ability to reasonably provide for your family. Working together and openly sharing concerns, challenges, and needs meet these stated goals.